At Jacks we understand that health and safety is an all-encompassing topic. We also acknowledge that a successful programme requires not only a total commitment from management, but engaged involvement from all staff members. Therefore our H&S programme aims to build on our excellent safety record, while facilitating an environment of active, positive involvement in H&S across all our business relationships. - to ensure that all our people return home safe and sound every day. - to comply with all relevant legislation and do everything that is reasonably practicable to identify and eliminate hazards and risks to the health and safety of staff, contractors and visitors in our workplaces. Risks which cannot be eliminated will be minimised by establishing and training safe work procedures. - each person in the Jacks' team is responsible for following these procedures and for reporting risks or hazards which could cause injury, occupational illness or damage to property. As well as responsibility towards our staff, there is a real commitment at Jacks to show leadership in H&S within our industry. 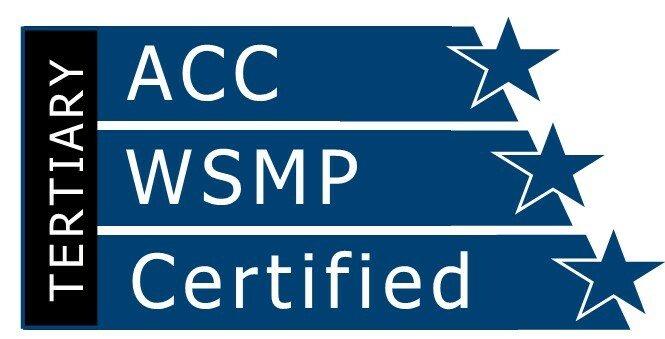 It was this goal that led us, in 2015, to work towards accreditation within ACC’s “Workplace Safety Management Practices” (WSMP) process. WSMP recognises companies that have implemented effective health and safety systems and practices in their workplaces, and achieved a recognised standard of good practice. We were proud to achieve best level of accreditation ('Tertiary'), repeated at our follow up audit in December 2016. If you're looking for a supplier with a proven commitment to Health and Safety, look no further. In addition to doing our utmost to keep our people safe and our systems thorough, we also have a comprehensive machine compliance programme, covering both safety and energy efficiency. While nothing we do short-cuts your responsiblity to carry out the appropriate risk-assessments at your place of work, you can be assured that we're doing our best to ensure all our products comply with NZ legislation and standards - starting with our requirement to supply and install machinery in accordance with the AS/NZS4024 Safety of Machinery standard. Where possible we try and exceed minimum compliance standards. For example, it is company policy that all industrial machinery we import complies to Europe's CE certification. Furthermore, we have staff with internationally recognised safety accreditation, we carry out our own internal compliance checks to verify manufacturer's claims, and where necessary we commission specialist machinery safety advisors to verify our own testing. Our Service department is second-to-none in its approach to safety at your worksite - evidenced by the many worksites where only a technician from Jacks has been accredited to undertake repair work on machinery. If you have any questions regarding our approoach to Health and Safety, or if we can help you and your staff run a safer place of work, please get in touch. Copyright © 2019 Jacks Limited.